High level of comfort at a minimum weight. 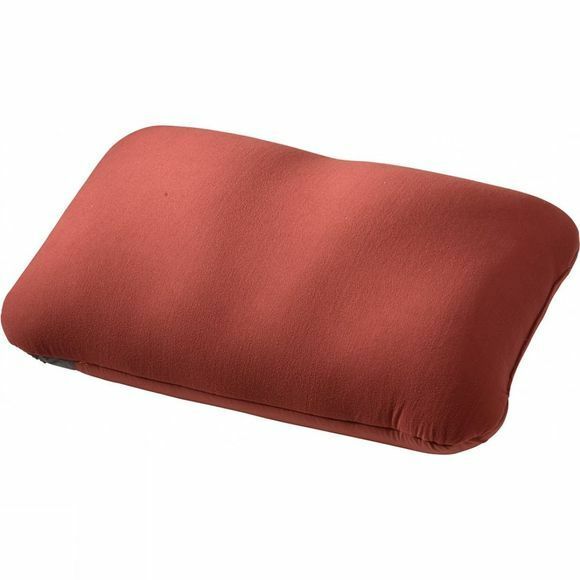 Large inflatable pillow for camping and trekking tours. Very lightweight thanks to the air core, super comfortable thanks to a choice of smooth or a soft and fluffy surface. The Pillow Large is easy to clean and completely washable. Recycled S-processed Cafe polyester is integrated in the textile fabric. Vaude's material is made using an innovative process that combines old coffee grounds with the fibres, giving the resulting woven fabric naturally fast-drying, odour-resistant and UV protective properties.